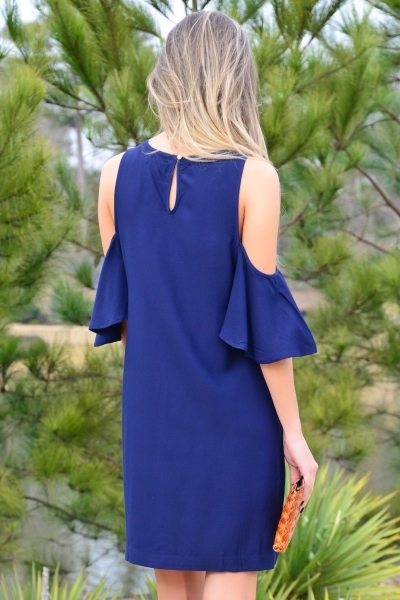 Take a basic navy dress and add trendy shoulder cutouts and we're in love! This dress is so flattering with it's a-line shape and flutter sleeves! Not to mention the 100% rayon fabric is divine. Fit is true to size. Jordyn is wearing size small. Length measures approximately: S=33.5" M=34.5" L=35.5"